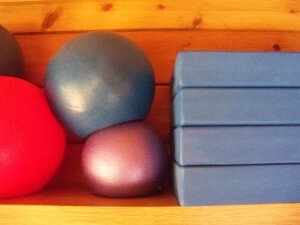 The studio is equipped with Pilates small apparatus such as foam rollers, spiky balls and Pilates rings, it also has a Pilates Reformer, half Cadillac and Pilates Chair. 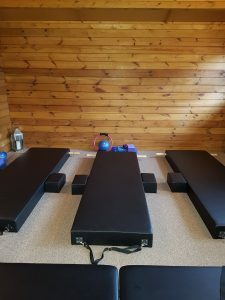 At In the Log Cabin we only use the traditional Pilates high mats which were handmade for the studio. Our Pilates classes are exclusive with a maximum of only four people per group class. This enables you to get the most from your class and achieve maximum results in a short period of time. We offer a range of classes to suit everyone from those just starting out on their Pilates journey to the more experienced who require a more challenging class. 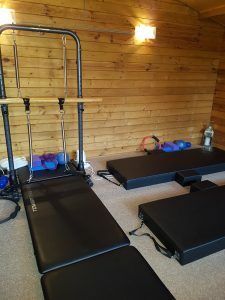 In addition to these, we also hold specialist classes including Pilates in the Chair for those who have limited mobility, Pilates for Pregnancy and Pilates for Horse Riders. When you arrive at the studio you will be greeted by Clare and any problems, injuries, illnesses can be discussed before class begins. It is important to let the Instructor know about any problems so that the class can be tailored for your specific requirements. Once class has begun you are encouraged to ask as many questions as you need about the exercises and if at any time something is uncomfortable or painful you should stop immediately and tell Clare. The exercise can then be modified to best suit you. Remember that Pilates is about you and your body and not a competitive sport so try not to compare yourself to anyone else in the class as we are all unique! This is an often overlooked piece of equipment and we are one of very few studios who have them. The Pilates high mat is a wonderful piece of equipment. With its handles and strap it is so helpful to beginners and advanced students alike. If you are struggling with the ‘full roll up’ then the strap is invaluable. It is a great tool for opening the back and giving feedback to the client, helping the feel exercises better. Invented by Joseph Pilates himself, the reformer is a bed-like frame with a flat platform on it, called the carriage, which rolls back and forth on wheels within the frame. The carriage is attached to one end of the reformer by a set of springs. The springs provide resistance as the carriage is pushed or pulled along the frame. There are hundreds of exercises which can be performed on the reformer, from basic ‘footwork’ to more advance movements. 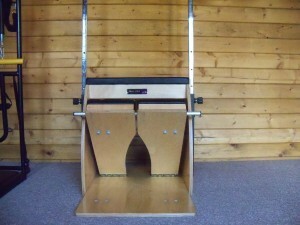 The reformer can be adjusted for all body sizes and skill levels. The Pilates Cadillac is named after the famous luxury car as it does everything! The half cadillac is a more compact version and is an extremely versatile piece of equipment. It has arm and leg springs for added resistance during exercises such as the side leg series or mid back series, it has a roll-up bar which is invaluable for aiding full roll ups and also a fixed bar. There are numerous exercises which can be performed on the half cadillac and it is very beneficial for those who are recovering from injury or who are weak and need a little more assistance in the exercises. The Pilates Chair or Wunda Chair as it is also known, is one of Clare’s favourite pieces of equipment! The basic design of the chair is very simple – a chair with a spring resistant pedal – however there are an abundance of exercises which can be performed on it. Exercises can be performed sitting, lying or standing on or near the chair and lots of strengthing and flexibility work can be carried out on it. It is assumed it got its name from working wonders and my experience is that it certainly does! These very simple pieces of equipment are very versatile and can be used for stretching, self-massage, body support, and stability exercises. They are particularly good for shoulder problems and increasing the difficulty of some core strengthening exercises. 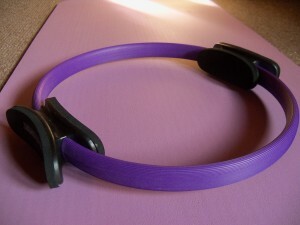 The Pilates Magic Circle or Pilates ring provides gentle resistance and is a great way to work your inner and outer thighs when doing Pilates leg exercises. They also give the body feedback as to where it is in space and which muscles are being used and can be incorporated into many exercises.